*and other cameras I like and don’t like too much. The FED and Zorki celebrated in this site were the first models. These cameras were succeeded by several models, identified by a suffix-number which denoted their order of appearance in each camera’s family tree. Some were good, as each succeeding model attempted in earnest to improve upon the previous ones. Some were bad, not because of design, but because of manufacturing quality. Some were really ugly (and could probably vie for the ugliest camera ever), but all were definitely designed with functionality as prime consideration. The FED 2 represents original Soviet design elegance matched by functionality. This camera has strap lugs and flash sync (really early ones lack flash synch and the lugs disappeared towards the end of its production), a combined RF/VF eyepiece, and removable back for film loading convenience. The design was sleek and clean. This could probably be the last great-looking FED. It had no parts or controls which stuck out or any unnecessary bulk. The Zorki-2S compromised the streamlined look derived from the Leica in favour of function. The top cover became taller (first seen on the Zorki-S, “S” for synchronized for flash) to accommodate the extra flash sync mechanism, giving the camera a top-heavy look. This ‘tall’ look was retained by the Zorki 3, 4, and 4K. There’s nothing much under the top cover and yet the designers opted to make it taller. Dials and knobs stick out all over the top of the camera. The Zorki-2S however makes a good user camera. It is flash sync’ed, has strap lugs (a feature which many FED and Zorki lack), and a self-timer. 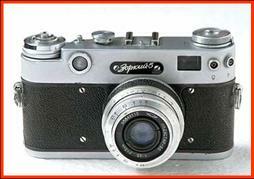 It is far more compact than a Zorki 5 or 6 which share many features with this camera. Zorki-5 and Zorki-6 were identical creatures. The Zorki-6 was modified by a hinged back (the only Zorki or FED, and probably the only Soviet RF to be equipped with such) and a self-timer. The Zorki-5 was a bottom loader, like the Zorki, Zorki-2, and 2S. The cameras were otherwise similar. I find the Zorki-5 more attractive. 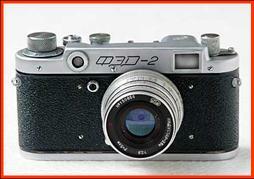 For some reason, it reminds me of the Leica M3 more than any other Soviet LTM RF. It also seems to be more compact than the Z-6, given its more elegant ‘vulcanite’ trim, and lack of extra chrome parts (see the timer lever and release on the Z-6). The Z-5 is № 2 in my list of preferred russki RF. This is supposed to be the Zorki equivalent of the Leica M3. It seems that the designer took one quick look at the M3 and drew on the board what the Zorki version would be like. It certainly lacks the elegant lines of the Leica. It’s got a rather bulky top (there’s also not much inside, even with the addition of the slow-speed movements), and plenty of dials and knobs and buttons sticking out on top. The winding knob tends to be inefficient– the top plate prevents it from being completely wound in one stroke. But as a user, this camera can be the cheap ticket towards RF photography without spending much. 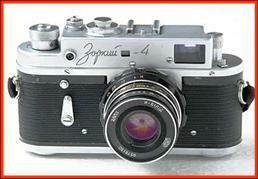 A complete Zorki-4 costs less than what a Leitz filter would cost. 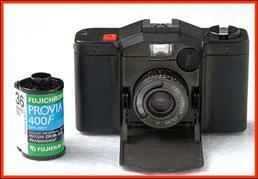 This Zorki has an extended (1/1.000 to 1 sec) shutter speed range. The early, pre-1966 or so (first two digits of serial number says its vintage) are the ones to get. They have engraved shutter speed numbers. 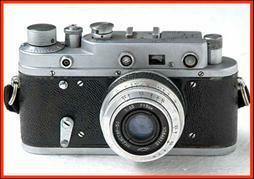 Later models have PRINTED shutter speed and other markings which rub off. The FED-5 is probably the ugliest soviet RF made. Maybe the ugliest camera, period. If not, it shares that honour with the Argus Brick cameras. Well, some other Russian camera users also think so. It’s big, and bulky (it is about 25% taller than the FED-1). I think that it’s also the most unwieldy of all soviet RFs. As a user camera however, the FED-5 is hard to beat. It has a speed range of 1/500-1 s, combined RF and VF, lever advance, and an on-board (not working most of the time) light meter on some variants. Like the Zorki-4, it’s also the cheap ticket to RF photography. 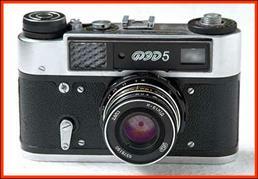 There’s so many FED-5 made that some Russian or Ukrainian vendors sell them for about $15 to $20, new in box. Some sellers, like the LOMO society have actually priced them at US $95. What is more astonishing is that there were actually people who bought FED-5 at that price! This toy can stand its ground against more ‘serious’ machines. Officially, it’s a plastic toy camera. It’s most plastic, but that is where it’s ‘toyness’ ends. It has no peer in this class– what other plastic, inexpensive (costs about 3 rolls of Kodacolor film) camera has fully adjustable focusing, apertures, and shutter speeds (range: 1/250 to 1/15 s)? This is the best ‘trainer’ camera. Using it gives the most involvement in the process of creating the picture– the photographer has to set everything (it doesn’t even have automatic shutter cocking or double-exposure prevention) to get the picture right. This should be what every photography student should have. It is also compact enough to be taken almost everywhere, everytime, to be ready for picture moments which could suddenly happen without warning. And its T-43 lens is also very good– it gives better sharpness and colour saturation than the lenses found on more expensive point-and-shoots. The Kiev-35A is a very compact automatic camera. It is also notorious for quality and durability issues. Many are known to arrive dead in the box, brand new. Some stop working for no reason. Some are riddled with manufacturing defects. However, a good one is really amazing. I’ve seen no other compact which can do what the Kiev-35A can do. Its Korsar 2,8/35 lens does better work than any equivalent lenses found on any of the Japanese compacts which I’ve used. And it has full manual focusing and aperture priority– something which many P&S compacts don’t allow. The camera is very cheap too. 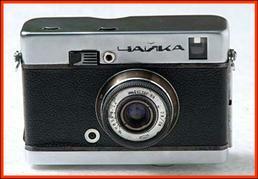 The Tschajka (Chaika) is an 18x24mm camera. It yields more than 72 exposures from a standard 36 exposure roll. 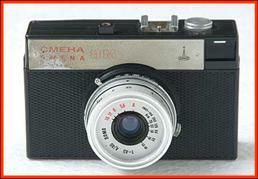 The ‘half-frame’ format was popular in the 1960s, and many Japanese cameras were made in this format. This Chajka is surprisingly well-made. It is assembled and finished like similar Japanese cameras of the same era. 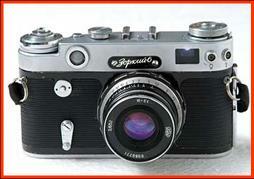 Its functions about as well as an average Olympus Pen. It also exhibits the same sleekness typical of many 1960s cameras– clean top, displaced controls, etc. It has an Industar 2,8cm lens, and has a shutter speed range of 1/250 to 1/30 sec. 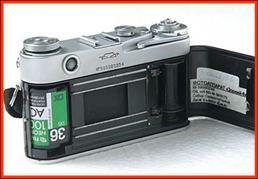 It’s very compact and every economical with film. I’ve found out that it can really take very long to finish a full roll in this camera. It took me three months to consume and got about 80 frames the first time I used it. Printing the negatives could also be a problem: aside from paying for twice as many prints, not all labs are still equipped to handle the 18x24 mm format.